The award-winning author at her storytelling best: four compelling novellas of Americans in Europe and Europeans in America. In these absorbing and exquisitely made novellas of relationships at home and abroad, both historical and contemporary, we meet the ferocious Simone Weil during her final days as a transplant to New York City; a vulnerable American grad student who escapes to Italy after her first, compromising love affair; the charming Irish liar of the title story, who gets more out of life than most of us; and Thomas Mann, opening the heart of a high-school kid in the Midwest. These narratives dazzle on the surface with beautifully rendered settings and vistas, and dig deep psychologically. At every turn, Mary Gordon reveals in her characters interactions those crucial flashes of understanding that change lives forever. 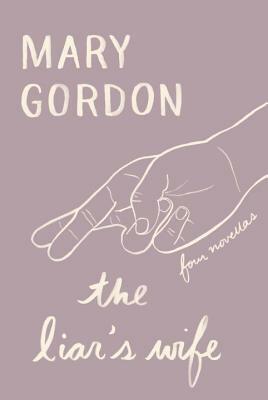 So richly developed it's hard to believe they fit into novella-size packages, these tales carry us away both as individual stories and as a larger experience of Gordon's literary mastery and human sympathy. Mary Gordon is the author of seven novels, including "Final Payments, Pearl, " and "The Love of My Youth;" six works of nonfiction, including the memoirs "The Shadow Man" and "Circling My Mother"; and three collections of fiction, including "The Stories of Mary Gordon, " which was awarded the Story Prize. She has received many other honors, including a Lila Wallace Reader s Digest Writers Award, a Guggenheim Fellowship, and an Academy Award for Literature from the American Academy of Arts and Letters. She teaches at Barnard College and lives in New York City."